Versatile manoeuverable vacuum sweepers with a bin capacity of 4 m3 that allow you to sweep and collect leaves or grass clippings in one pass. A powerful fan provides an enormous suction power and is mounted in a housing equipped with a replaceable lining. The fan is driven by a PTO drive shaft attached to the tractor and requires an output of The required hp PTO can vary depending on the working conditions.45 – 70 HP (33 – 51 kW). Because the shaft in the suction hood is exchangeable, compact vacuum sweepers can be configured for several jobs. The Berkhamsted School had a leaves problem for almost 500 years. But the TRILO S4 solved this! 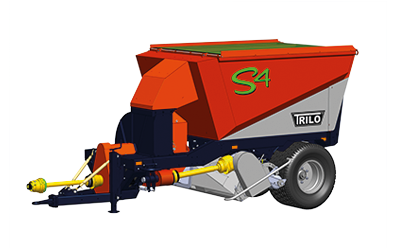 TRILO machines are known for how easy fallen leaves can be cleared with them - this happens with minimal surface disturbance.